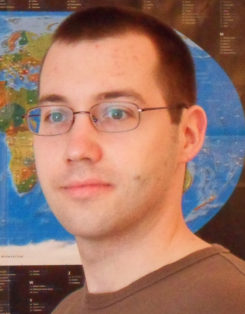 I am Jörg Luger, a 36-year old software developer from germany. Currently I maintaining Java RichClient applications. The client is based on Swing using an extended version of JGoodies Smartclient to connect the model beans to the gui elements. The server is based on EJB 2.1/2.2/3.0 or Java Webservices. For persistance the applications use Hibernate or JPA with Hibernate as provider. Before that I developed a PMS based on Oracle ADF. ADF is a Java based framework that takes care of persistance, the business layer and binding the business layer either to a web or a Swing client. Besides Java it also relies heavily on XML for the persistance layer and the binding to the client. In my project we just developed a Swing client. For the reports, made with iReport, based on jasper reports, and also for the persistance I had to write sql statements. As a database we used Oracle and OracleXE. I've installed OracleXE on windows/linux server for developers and also for customers. The build system was first based on JDeveloper but I switched it to ant so that the developers could use JDeveloper and Eclipse.